Many industry leaders are already investing in IoT deployment, beginning to realize the necessity of speeding up returns on their investments. How can you successfully navigate this transformation in a simple and efficient way? 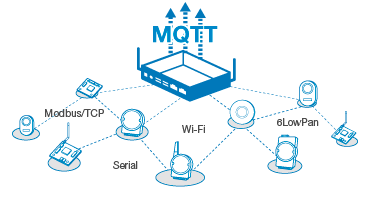 Provides comprehensive software solution building blocks and SDK to connect various wireless/wired things (Modbus/TCP, Serial, 6LowPan, Wi-Fi), and unifies different protocols to the MQTT IoT standard, then empowers IoT application development for data streaming and device management. 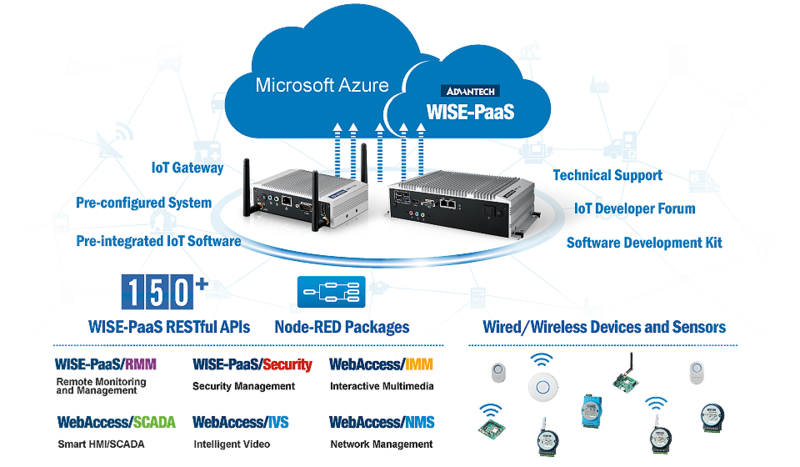 Built-in WISE-PaaS IoT software platform services integrate multiple systems and provide dashboard builder and RESTful APIs that help design user interfaces and create various web services with new data, and functions, and other applications. With Microsoft Azure service certification and integration, users can easily push their data and analyze it in Azure with Machine Learning Services. 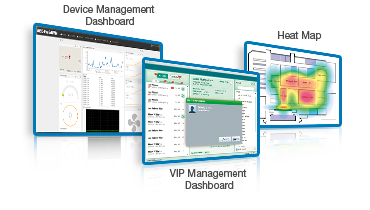 This saves time and effort on project specs and creates business intelligence to improve business strategies and practices. 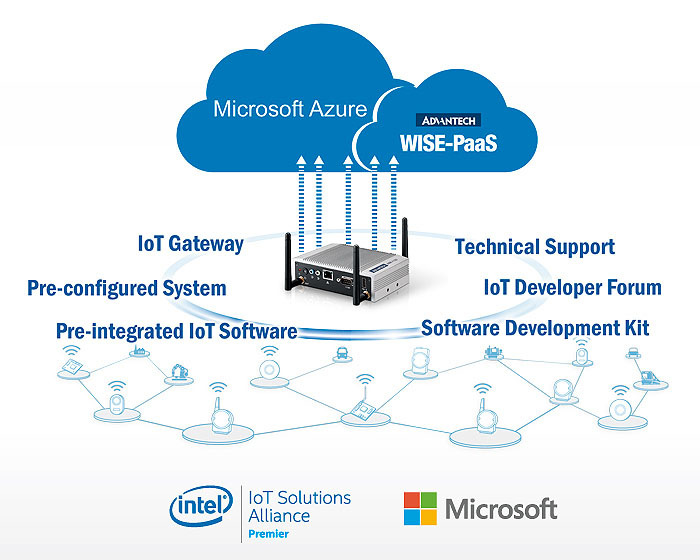 The whole package includes a ready-to-run system (Intel® Celeron® processor J1900-based platform & Windows 7 Embedded), IoT software platform service (WISE-PaaS), software development kit and technical support service, and Microsoft Azure service certification and integration. It not only simplifies IoT deployment, but also creates mutually beneficial capabilities to enable application innovation. 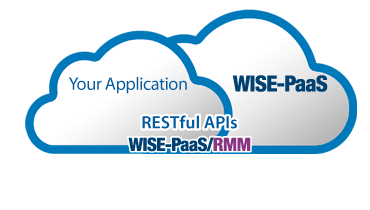 WISE-PaaS/RMM is ready on Microsoft Azure Marketplace to enable big data analytic services. 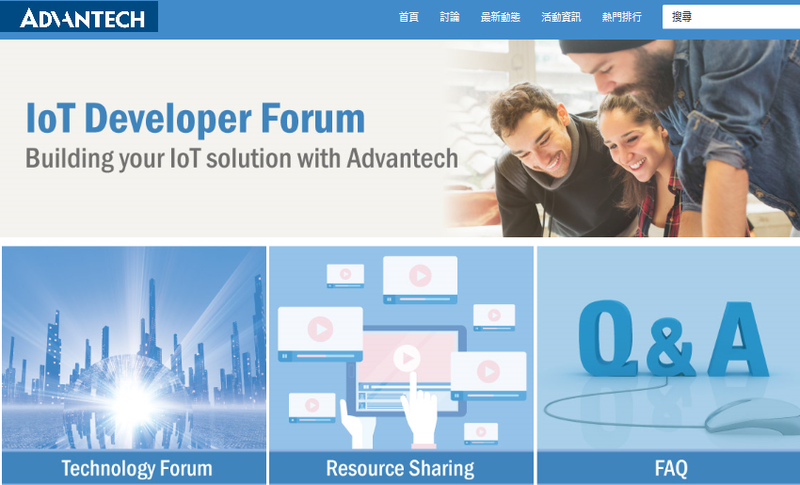 For a quick jump into the core discussion with professional consultants, Advantech built an IoT Developer Forum. The IoT Developer Forum is a real-time, online platform for sharing IoT technology news and posting questions. Discuss a variety of development topics, from getting started, to working with the latest software and IoT technologies. Enable your application to make data connections that create new business value. 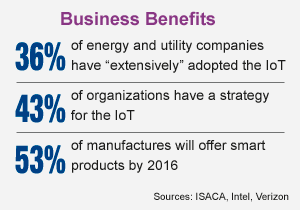 Take your IoT innovation to market faster with integrated solutions and development tools. Collaborate with partners to provide practical, comprehensive IoT solutions. Leverage your domain knowhow with Advantech expertise to build IoT applications.